Cyan is Orascom Development‘s new alluring compound in El Gouna. 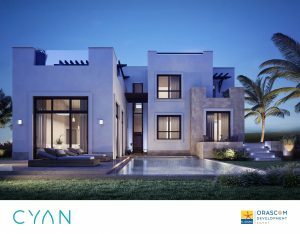 Cyan has a picturesque location as it’s positioned only a few minutes away from the lively Abu Tig Marina that bursts with energy and excitement from all the fine restaurants, bars and vibrant nightlife scenes it embraces. 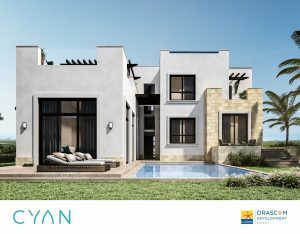 Cyan El Gouna introduces splendid fully-finished homes that spread across 5 dazzling lakes and have a remarkable view of the shimmering blue lakes and the lush green golf course. 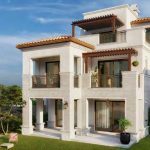 Its homes vary from spacious villas to lavish townhouses which have an elegant modern design that warms the heart and pleases the eye. Every unit in Cyan also has direct access to its own private parking lot.